I have a fun birthday card to share with you today. It was inspired by the most recent color challenge colors, Coral Crush, Persimmon, Blu Raspberry, and Steel Grey. This is such a great color combination, I will definitely be using it again. I stamped the birds from the Tweet Friends stamp set on X-Press It card stock and colored them with Copics. The cage was die-cut with the Cheerful Cages Die-namics in Steel Grey card stock. 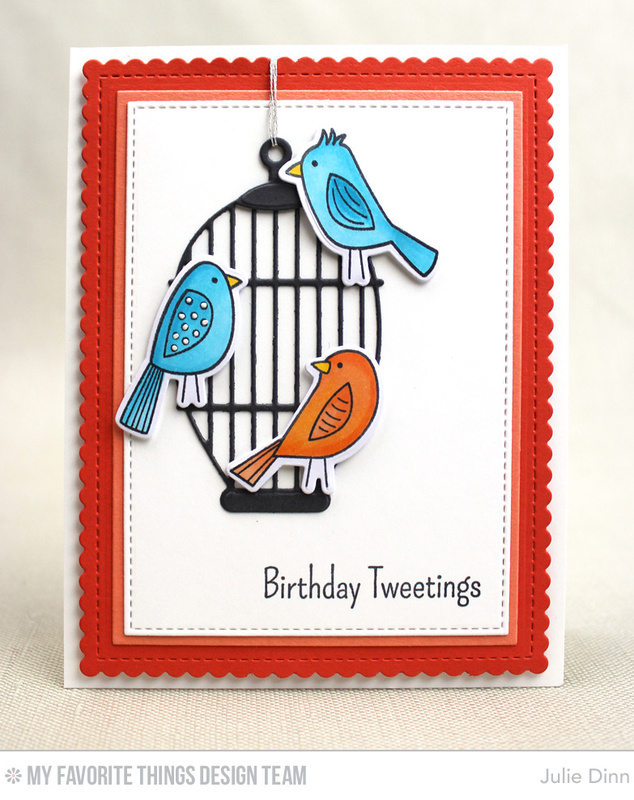 The sweet sentiment is from the Tweet Friends stamp set.